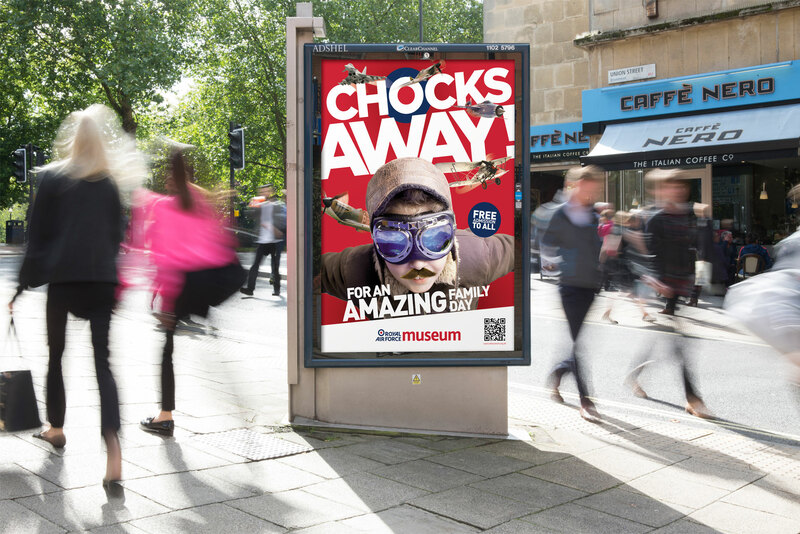 The Chocks Away campaign was produced just prior to the school holidays to promote the RAF Museum as a ‘day out for the whole family’. 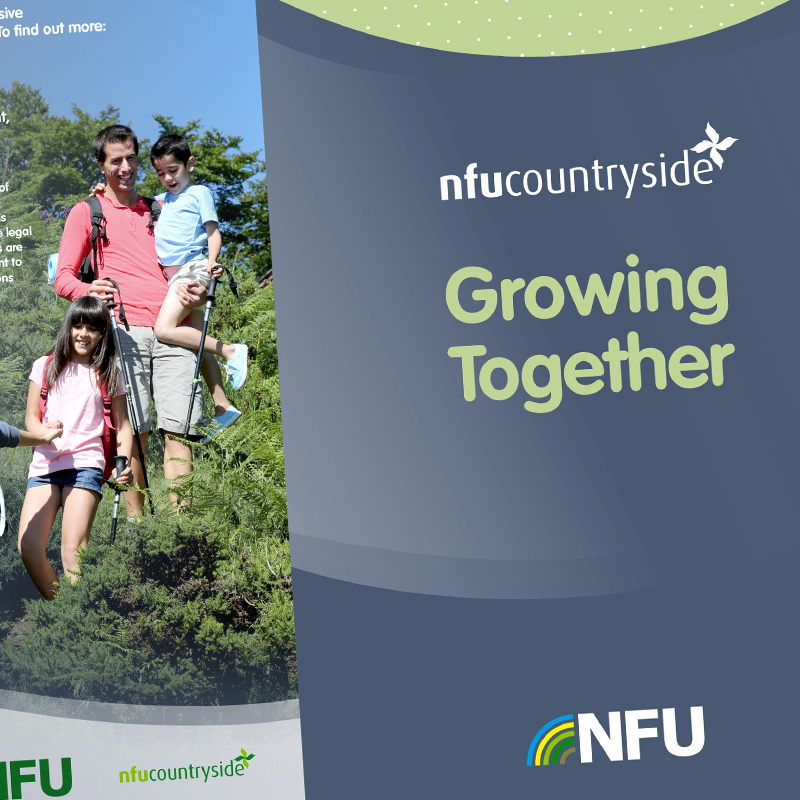 It was aimed at a diverse audience including young children commuting to school, busy professionals driving into work, parents driving their children to school and the elderly off out to run their daily errands wondering where to take their grandchildren at the weekend or throughout the holidays. 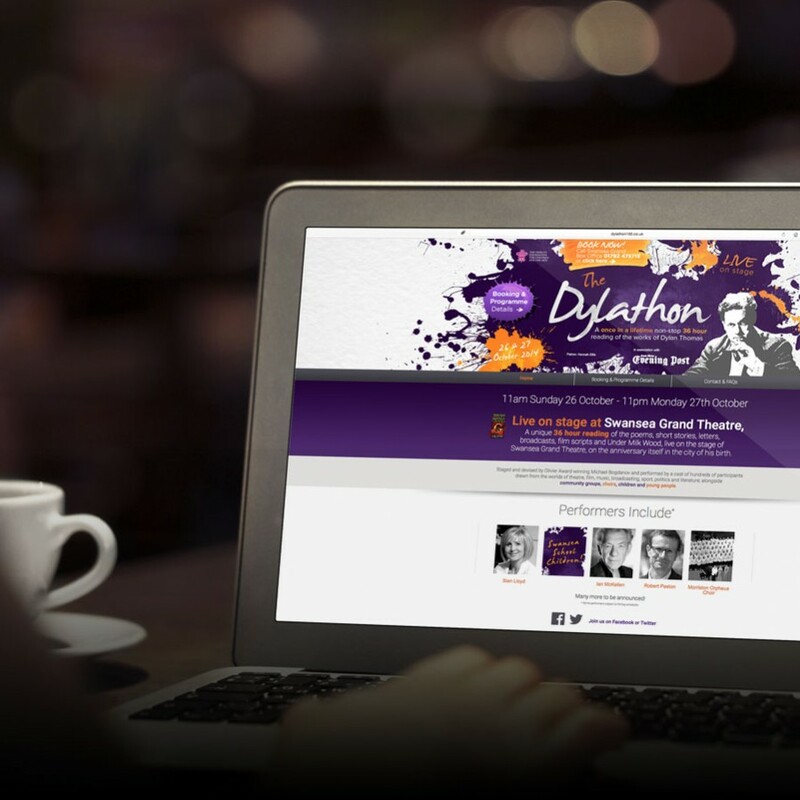 The campaign delivered a bright, eye-catching and appealing contrast to otherwise regular surroundings. 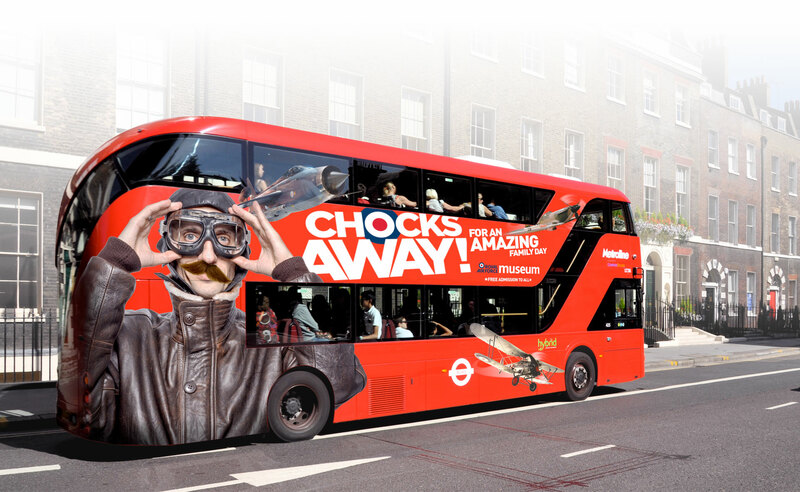 Vehicle livery would be the perfect transporter for the ‘Chocks Away!’ campaign. 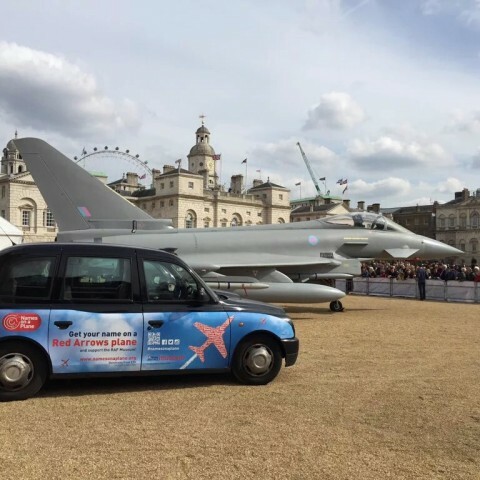 The red London buses would complement the colour scheme and would target everyday commuters and the general public. 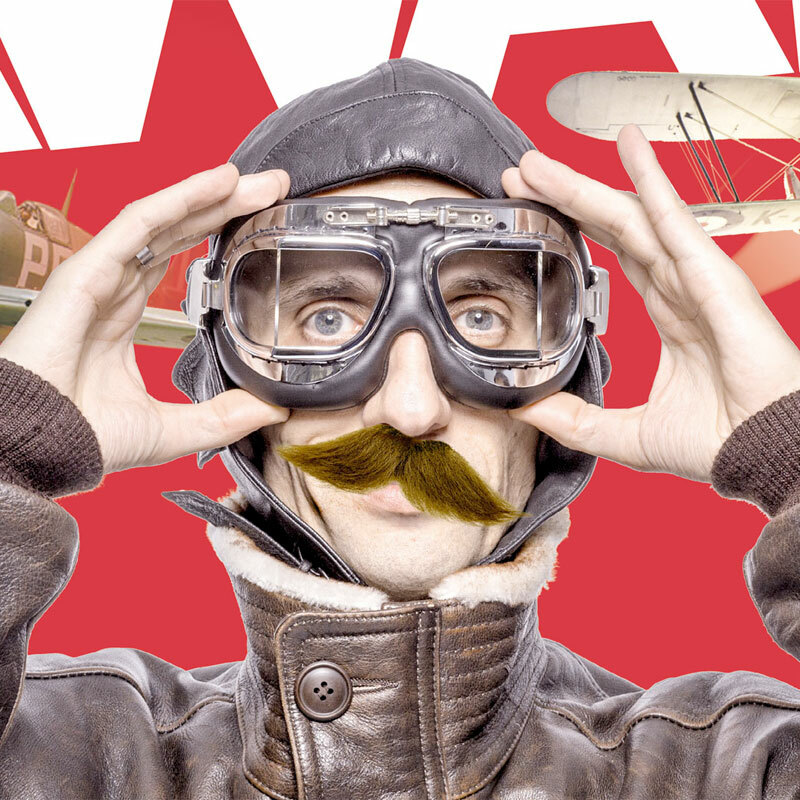 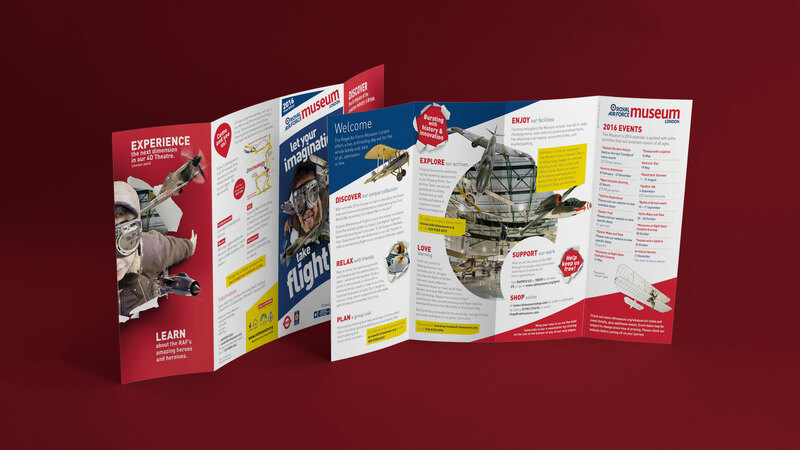 The RAF Museum needed a new ‘Attraction Leaflet’ to boost interest and visitors to the museum. 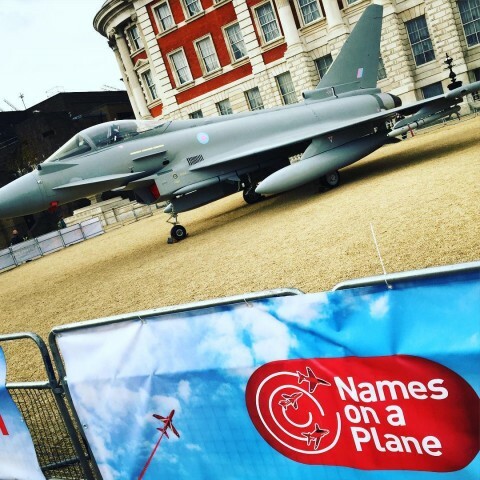 It had to paint a modern, alternative, fun-filled, family day out with something to intrigue all ages and diverse interests. 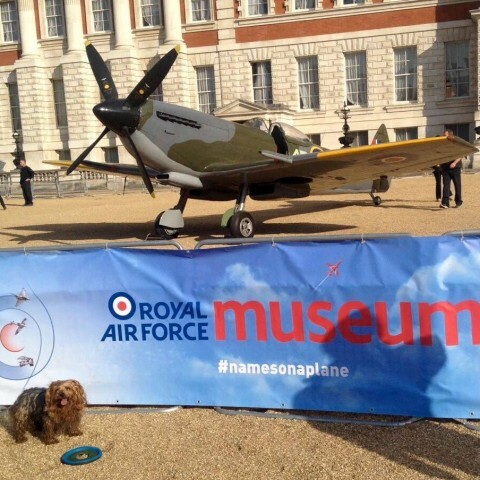 The concept focuses on the fact that the museum is bursting full of activities and things to see. 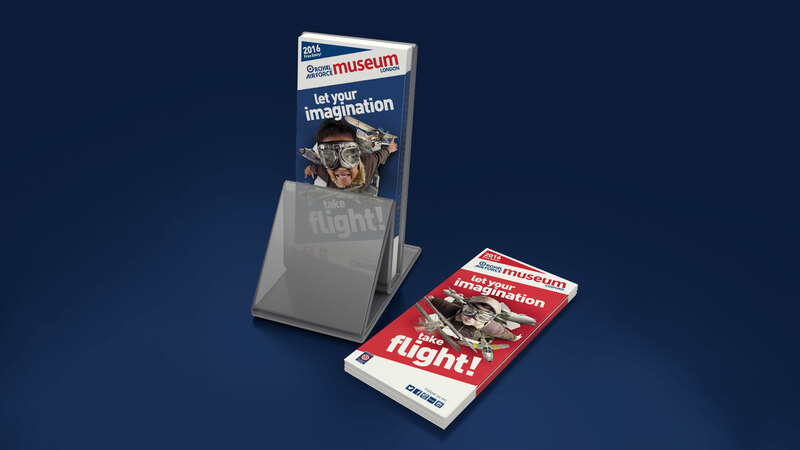 The image behind the cover person is displayed on the inners, making these two pages a gateway to what’s inside the leaflet and a metaphor to what’s inside the museum, building interest and adding a sneak peek into the museum. 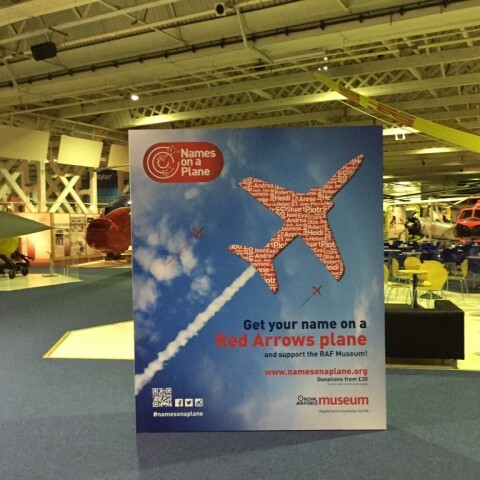 We also worked on putting together the successful ‘Names on a plane’ campaign for the RAF Museums, which gives a member of the public a chance to have their name featured on one of the jets that will feature in the Red Arrows’ 2017 display.